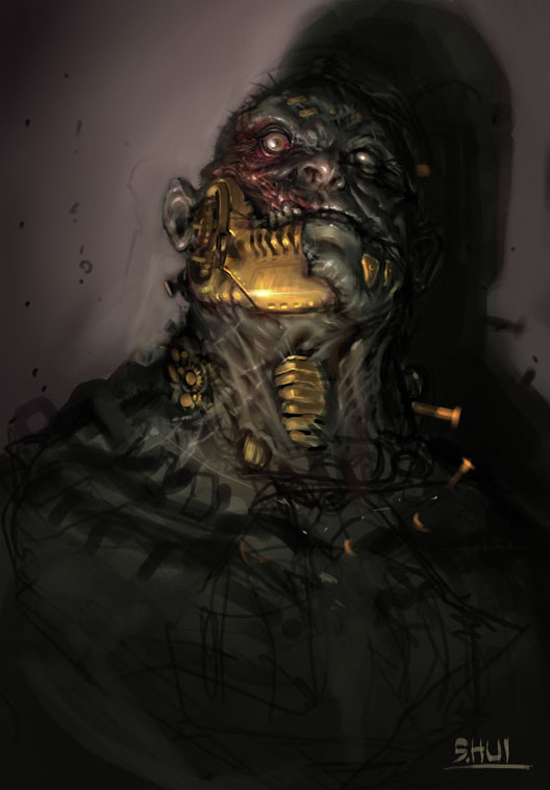 Digitial illustrator Steve Hui’s Frankenstein Monster is all raw muscle and gruesome gristle on a heavy metal skeleton. The California-based artist works in the video game industry, notably contributing to World Of Warcraft at Blizzard Entertainment. Here’s a portfolio on Concept Art World featuring Hui’s character designs and his re-imagining of Dracula and the Wolf Man. That is an amazing pic. Thank you.